In the Commonwealth of Pennsylvania and most other states, a Physical Therapist with a direct access license can evaluate, diagnose and treat musculoskeletal impairments independently without a referral. Most insurance carriers cover direct access services to physical therapy. 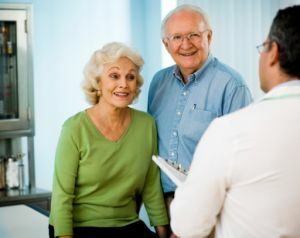 A direct access evaluation performed by a licensed Physical Therapist is shared with a patient’s primary care physician and may even result in a referral to another health care practitioner if necessary. You will find at West Park Rehab all Physical Therapists have a direct access license and are Doctors of Physical Therapy. Physical Therapists may be assisted by Physical Therapist Assistants who are educated and able to provide most components of treatment. Guided by integrity, life-long learning, and a commitment to comprehensive and accessible health programs for all people, physical therapists and physical therapist assistants render evidence-based services throughout the continuum of care and improve quality of life for society. They provide culturally sensitive care distinguished by trust, respect, and an appreciation for individual differences. While fully availing themselves of new technologies, as well as basic and clinical research, physical therapists continue to provide direct patient/client care. They maintain active responsibility for the growth of the physical therapy profession and the health of the people it serves.